Water use and management in western North Dakota have changed dramatically over the past decade as a result of the unprecedented growth and development of the Bakken petroleum system (Bakken) and consequent adaptations by the state and industry to meet the rapidly growing need for increased water supply and disposal options. The Energy & Environmental Research Center (EERC) has been closely tracking the issues related to Bakken water management since 2008 and evaluating the technical and economic feasibility of various technological advancements and water-handling practices. Most recently, as part of efforts being conducted through the Bakken Production Optimization Program (BPOP), the EERC is working to identify and evaluate potential technological advances that could help optimize water use and handling in the Bakken, to project future water supply and disposal needs, and to assess potential environmental risks associated with Bakken water transport and storage. 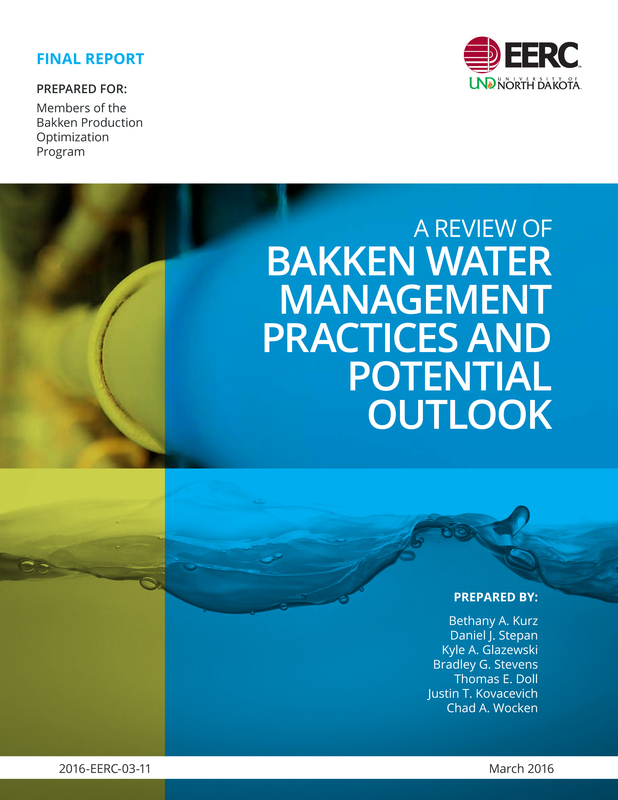 Provide a snapshot of current water management practices and trends in the Bakken. Summarize changes in water use practices that have occurred in the Bakken since early Bakken development (~2008–2014 time frame). Evaluate the capacity of water supply and disposal facilities to accommodate current and projected demand. Outline potential water recycling and reuse scenarios that may be of interest to our partners for in-depth evaluation. Several data sets were provided to the EERC by the North Dakota Industrial Commission (NDIC) and to the North Dakota State Water Commission (NDSWC), which proved invaluable to the compilation of this report. For more information on the Water Management in the Bakken report, contact John Harju, Vice President for Strategic Partnerships.